Leeds Wood Recycling offers an ethical, cost-effective and convenient wood collection service. We work in a similar way to a skip hire company, but offer a sustainable alternative to waste disposal: 100% of our collected wood waste is sorted, repurposed and recycled. We also aim to help long-term unemployed people gain experience and training, working to create new sustainable jobs for people in our community. When you need a collection give us a call or send us an email, and we’ll come to you in our caged van. We pack the van, using the space more efficiently than just ‘throwing it in the skip’ – reducing up to 40% of wasted space. 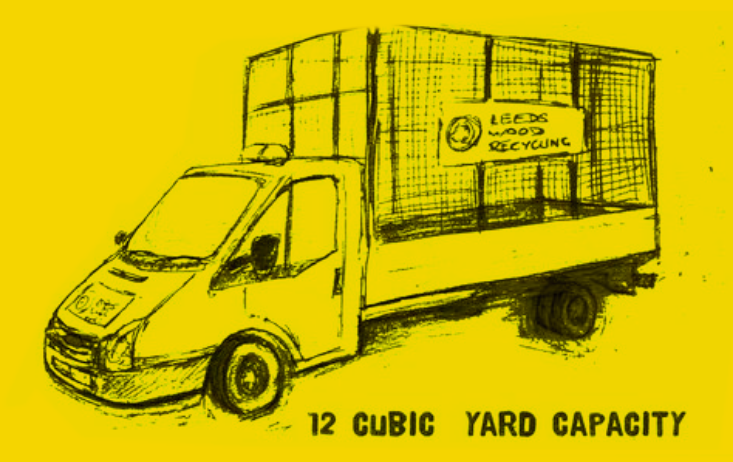 Once the van is packed, we take a look at the measuring gauge on the side of the van, and agree with you the quantity in cubic yards of wood waste we are taking. We then charge per cubic yard for what we take, so you’re not paying for a half empty skip. Once your happy, we’ll take the wood back to our warehouse for processing. The timber is then sold in our shop, available for sale to the public at affordable prices. We also make products from the timber to sell, from chopping boards to planters. Come and have a look at what have to offer! Anything that can’t be used gets made into firewood and kindling, or chipped and formed into new Egger boarding by our supporters Timberpack. We collect within a 20 mile radius of our LS11 9RT shop. If your not sure whether that includes you – give us a call! – Things which are not wood! The skip waste industry works largely in cubic yards rather than in weight. As a guide, a 4 cubic yards (a midi skip) is our minimum collection. The most common skip size is 8 cubic yards – a large builders skip. The capacity of our van is like a midi skip and a builders skip together at 12 cubic yards. What would you like collecting? A1 Engineering Solutions have dealt with Leeds Wood Recycling since its inception. They provide a unique and trustworthy service which is cost effective and delivers zero to landfill. Collections are undertaken promptly, as requested, with the friendly, efficient team. 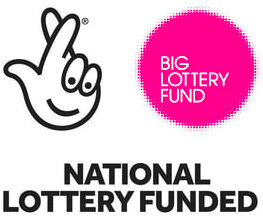 The employment and training of long term employed including those with learning difficulties, helping support individuals and the wider community. Leeds Wood Recycling provide a sustainable solution to local business, whilst also providing unique, well made products available to the general public.